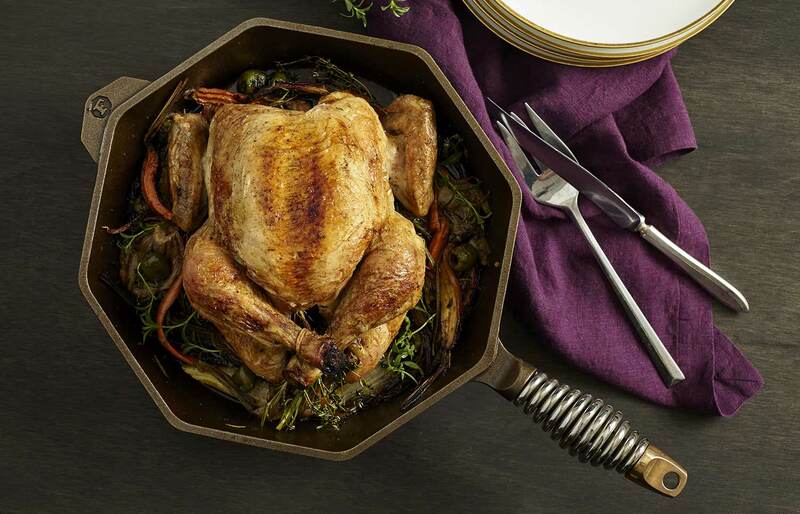 Whole Chicken In A Skillet Recipe | FINEX Cast Iron Cookware Co.
Roast chicken is incredibly simple but tastes wonderful and looks lovely – especially in our 12″ Cast Iron Skillet. It does however, take time. Plan for your oven to be occupied for 1 1/2 to 2 hours and perhaps more for larger birds. The warmth and savory smells coming from the longer roasting time will make your kitchen feel cozy and welcoming – especially during the winter months. 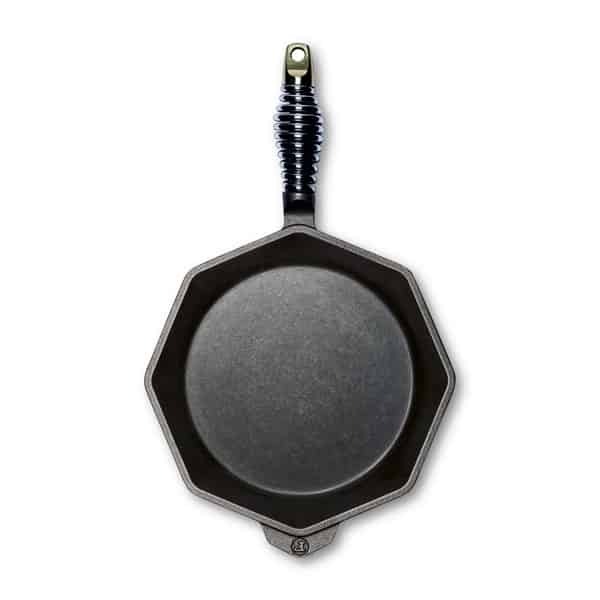 Place your FINEX 12″ Cast Iron Skillet on in the oven, on a lower rack and heat to 475 degrees. Rub olive oil all over the chicken then evenly sprinkle – inside and out – with salt and pepper. Place thyme sprigs in chicken cavity. 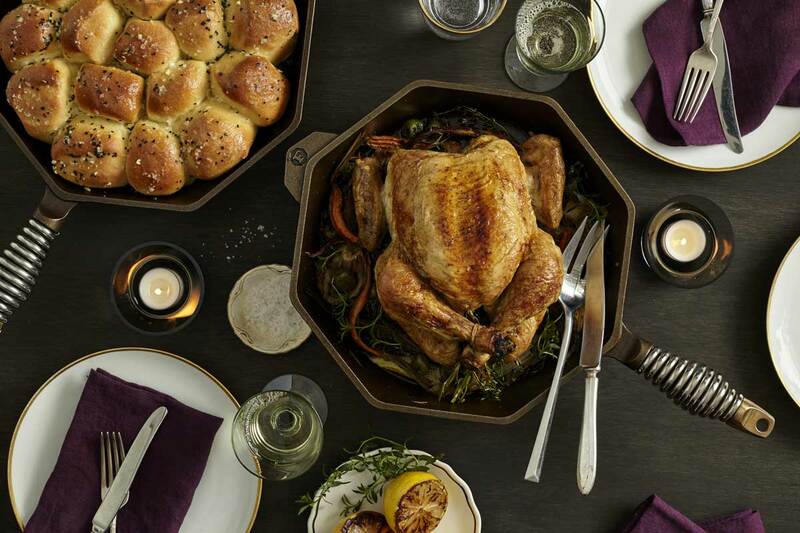 Once the oven has reached 475 degrees, wait 5-10 minutes for the skillet to fully heat before carefully placing the chicken in, breast side up. Set a timer for 15 minutes. After chicken has roasted for 15 minutes, carefully add carrots and onions. Reduce heat to 350 and continue roasting until the chicken is golden brown, the vegetables are cooked and an instant-read thermometer inserted into the meaty part of the thigh reads 155 to 165 degrees: usually 1 – 1 1/2 hours. Larger birds may take longer. Remove from oven and let rest for 10 minutes before serving. Enjoy! FINEX Cast Iron Cookware Co. 2236 NW 21st Ave.